You have made the decision. You have put down the deposit. And you are officially overwhelmed. What’s next you ask? If you have read anything else on this blog you will see the reoccurring theme. Do your research and plan ahead. The cruise line is no different. Order the free planning tools that DCL offers. Take a tour around the Planning Center @ http://disneycruise.disney.go.com. Read through all the information they have given you. If you are still looking for more information, read blogs like mine. Search for interesting nuggets of information so that you are completely comfortable on your trip. My Pinterest Page has tons of links to other blogs with lots of thoughts and tips. The great thing about booking a cruise is that it is almost like booking an all inclusive vacation. Almost being the key word here. There are still places that will add additional dollars to your vacation total. And with the powerful key to the world card it is easy to run up that bill. Excursions – This is the biggest expense for most people other then the cruise itself. 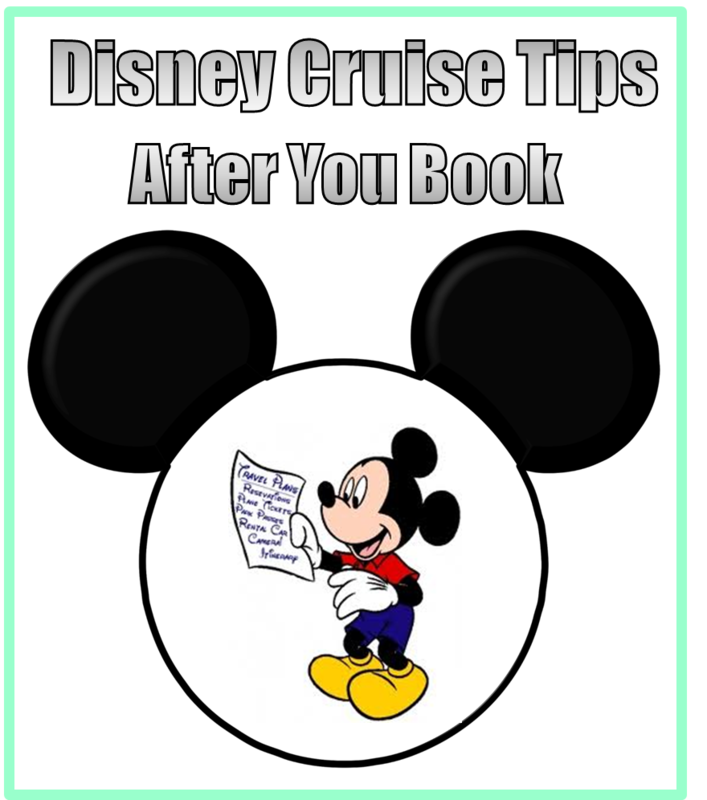 You can book through DCL or other onshore companies. Prices vary quite a bit, a Snorkeling Trip in the Bahama’s is around $45 per person, compared to the Dolphin Experience at $220. Tips – The service you receive is top notch and a tip for each of your servers is expected. This tip calculator can give you an idea of what to budget. Alcohol – Coming in third in the expense category is alcohol. There are ways to save here (bring your own, mug club, drink of the day). But if you are going to have adult beverages on board be prepared to budget for that. Spa – the spa services are amazing, but the cost is something you will have to consider before booking your treatments. Photos – If there is one thing that I was disappointed about while on board it was the photos. Unlike in Disney’s parks the photographers will not use your camera to take pictures. This means that all group shots must be purchased through DCL. The photos are astronomically expensive. If you plan on buying more then one photo for your entire trip it is worth looking into prebuying the photo package. Don’t pass out when you see the price, you have been warned. Adult only dining – there are two options depending on what ship you are on. Remy and Palo both offer amazing dining experiences for a small additional fee. Some things at Castaway Cay – This is not added into the excursions part of the budget because you may not realize that some things on DCL’s private island are NOT included. Things like snorkeling equipment and inner tubes are a small additional fee. The cabana rentals for the day are an astronomical fee (in my opinion). All your food, beverages, beach chairs and childcare ARE included. Arcade – there is a charge for the arcade and interactive games. A hotel for the night before close to you embarkation port is always a good idea. You should be sure to give yourself plenty of travel time, especially those of us that like to sleep in. Transportation to your port of call. Whether you take the DCL bus from the airport, rent a car or park at the port you will have a cost associated with that choice. Wondering what should be on your to do list? If you have already read through the DCL planning center you may have already done some of these things. Choose your dining time. There are pros and cons to each of these. If you have children who need a bed time before 11pm I would suggest the early dining rotation. Late seating starts very late by most people’s standards. If you are looking to get away from a lot of the “family” noise the later seating would be a great option for you. Do the online check-in prior to embarkation day. In fact do it as soon as you can. Find your date (it will depend if you have cruised before). And check in on that date. This is the best way to get a premium boarding time, the allusive cabanas on Castaway Cay and your special dining times. Make advance reservations online. Pre-book things like Polo, Remy, the nursery and your excursions. The adult dining does fill up, especially for the most popular dining times. This goes back to the previous tip. Do the online check in ASAP. Go ahead and bite the bullet, buy the discounted photo package early on. For those of you that have decided to chance fainting. 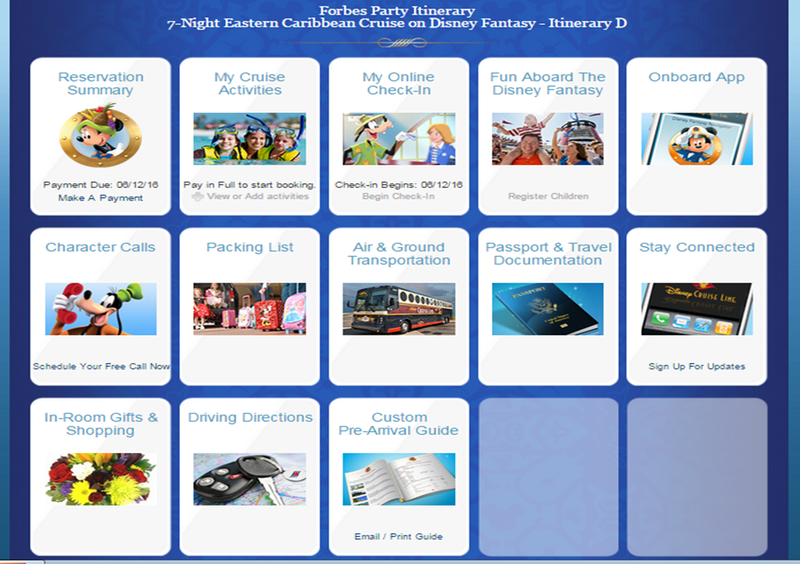 Find you itinerary on DISboards.com in their Disney Cruise Meets section. You can ask questions of your fellow travelers. “Meet” people before onboard and decide if you want to be apart of Fish Extenders. Find your cruise Facebook group. I have found that many of the DIS threads are being moved to Facebook. Search under groups, names are typically formatted as Disney ship name date, example Disney Fantasy September 10, 2016. Fish extenders are a great way to take the Disney magic and pass it on. It takes work and planning to be involved in a group. One character call can be scheduled for free. This is a great way to get your kiddos even more excited. Or to tell them about the cruise if you have kept it a secret.